One of the elite group of darts players to become a three-time World Champion, Lowe’s achievements came across three decades with victories in 1979, 1987 and 1993. Lowe, now 73, was also the World Masters champion twice and News of the World Championship winner, but is arguably best-known for his achievement in recording the first televised nine-darter at the 1984 MFI World Matchplay. The famous footage of Lowe’s perfect leg against Keith Deller, commentated upon by Dave Lanning, continues to enjoy worldwide airplay as a landmark moment for the sport. 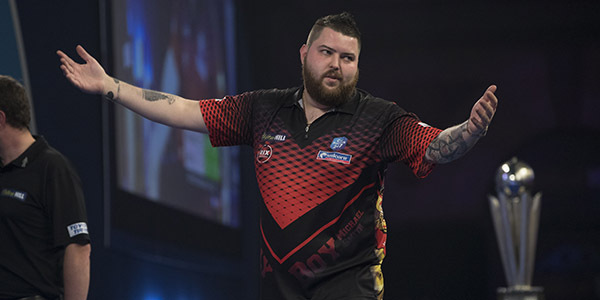 He retired from competing on the PDC circuit at the end of 2007, having been a semi-finalist in the World Championship, World Matchplay and World Grand Prix after being one of the founder players following darts’ split. Lowe was inducted into the PDC Hall of Fame alongside great rival Eric Bristow MBE in 2005 and had enjoyed a 30-year professional career. “I was away in Cyprus on holiday when the letter arrived and my son passed on the message, and I couldn’t believe it to be quite honest,” said Lowe. 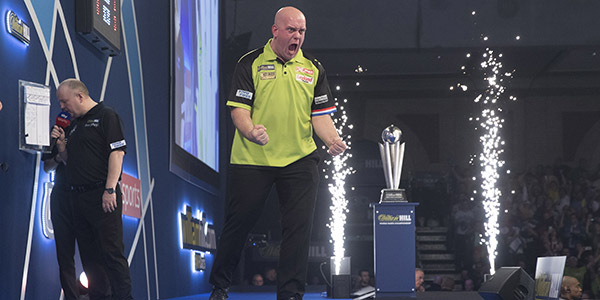 “It took a while to sink in and I think it will only become real when I go to the Palace and collect the award.”It’s such an honour for me and a wonderful thing to receive.” The nine-darter remains one of darts’ most famous moments, and Lowe added: “It’s still something people talk to be about and it’s tremendous. “You hear that millions of people have seen it on YouTube, and although I’ve not been on TV for over a decade it keeps you remembered because fathers show it to their kids. “I don’t think it’s every going to be forgotten anyway because it was the first TV nine-darter and you always remember the first more than anything. Lowe’s MBE comes at the end of the year which saw Bristow pass away, and he added that it was a poignant moment to be recognised alongside his close friend, who was awarded an MBE in 1989. “We had a great rivalry and it’s the foundation of what we’ve got today,” said Lowe. “We didn’t do it purposely, it was just us being who we were. “That’s the tinge of sadness, that Eric is not here. We would have had the biggest party. “Mike Watterson, who set up the World Championship originally with the BDO and also helped set up the World Snooker Championship, had proposed me but I know that Eric had supported that nomination, which means a lot. Lowe continues to play darts on the exhibition circuit and in charity events, and recently visited China alongside fellow former World Champion Dennis Priestley. “I’ve just come back from China, where I was with Dennis Priestley for a competition out there which was on TV, and there were 37 million viewers when we played,” he added. “It’s quite amazing and to still be involved is incredible. I’ve not played competitively on TV for over ten years, so to be asked to go to China and to get such a reception was great. Lowe remains a huge fan of the sport and has been following the William Hill World Darts Championship avidly over the festive period. He said: “Someone suggested to me recently that all past champions should receive an invitation to the World Championship, like they do in The Masters golf. “I know that one golfer was 94 years old and he replied that he was honoured to be invited but declined. If I was asked to play in the PDC World Championship, I would probably decline.